The entertainment industry is one of the fastest growing industries, and with an entertainment insurance policy from MFE Insurance, your business is covered from a wide range of liability issues. We provide entertainment insurance policies for all professions in the entertainment industry, including production insurance, staging & rigging insurance, special event insurance, and touring insurance. 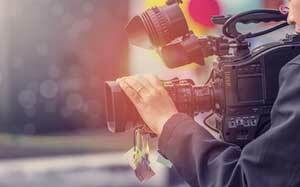 A good production insurance policy will protect the producers, filmmakers, film crew, production gear, and all filming locations from liability claims. It can also protect you from any libel or copyright infringement claims. Production insurance has a wide variety of components including general liability coverage, travel accident coverage, errors and omissions coverage, and cyber liability coverage, to name a few. Production insurance works to make sure that legal costs, equipment damage, and lawsuits don’t get in the way of making your production the best that it can be. Staging and rigging is undoubtedly the most important foundation for any event, but it also comes with a high risk if an accidental error occurs. In the event that something goes wrong, like an event goer is injured due to an unstable stage, MFE staging and rigging insurance policies protect you from the hefty legal costs that could result. Staging and rigging insurance also protects your equipment in the event of damage. Make sure that your stage is covered so that you can continue to be the foundation of great shows. 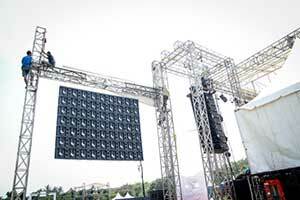 Planning a music festival or other special event can be extremely costly and stressful. MFE special event insurance products make sure you’re covered in the event of bodily injury to a worker or guest, damage to rented property, or any other lawsuits that may arise. Coverage can be provided on a short-term basis for a single event or on an annual basis for multiple events. Having a strong entertainment insurance policy supporting your event will give you peace of mind that you’re protected if you face damage or legal complications. 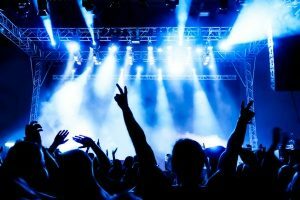 Touring insurance is for artists, bands, entertainers, performers, and comedians who are on tour or are planning a tour. Whether you’re a small comedian touring local venues or a major performer selling out arenas, you need touring insurance to make sure you are covered in the event of an accident. 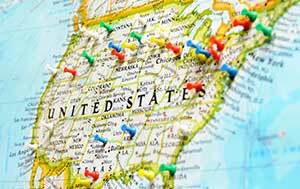 Traveling from place to place can be a fun experience, but it can also present complications if your equipment is damaged or you get into an automobile accident. Touring insurance will protect you from the large costs that can be associated with these unfortunate events. Knowing that your tour is well protected will allow you to focus on making the tour as great as it can be.